Excellent location and the staff accessible at all times . Very nice experience. After we were moved to a more suitable apartment for us we were happy with the location, security and cleanliness plus lighting of this apartment. We would like to pass on our thanks to Alex who was able to accommodate our expectations. Location , size of the apartment and the fit out of the apartment. Very good location, friendly people in the office, was upgraded to a big unit. All these made our trip attending our daughter's graduation in Paris a wonderful experience. 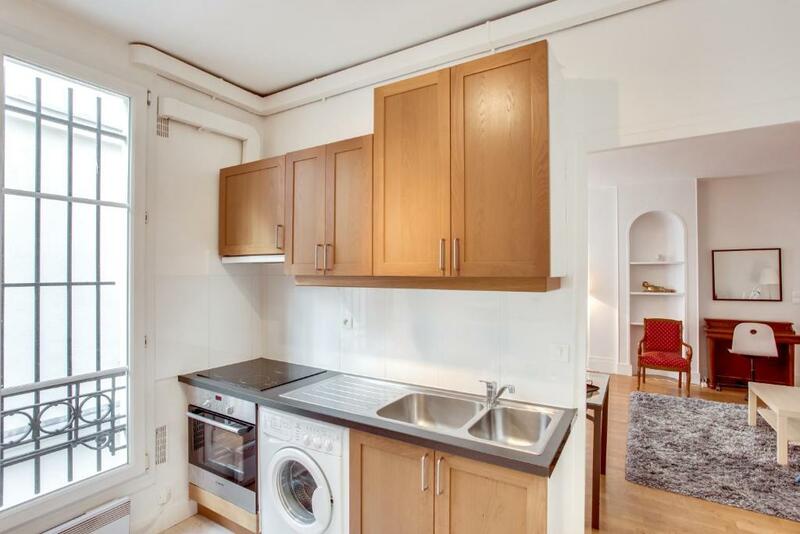 We were upgraded to a large studio and that made a big difference as it had a separate bedroom.Great location for cafes,supermarkets and an easy walk to main attractions. Proximity to all tourist spots, restaurants and public transport. Apartment was well set out, clean and with everything we needed for a comfortable stay. Nous avons été très bien accueillis. La tranquillité des lieux. La situation géographique est exceptionnelle; l'appartement que nous avions était à quelques pas des transports publics. L'ascenseur et les équipements. Beaucoup de rangement. L'accès sécurisé des lieux. Lock in a great price for Paris Appartements Services - Les Appartements du Louvre – rated 8.6 by recent guests! 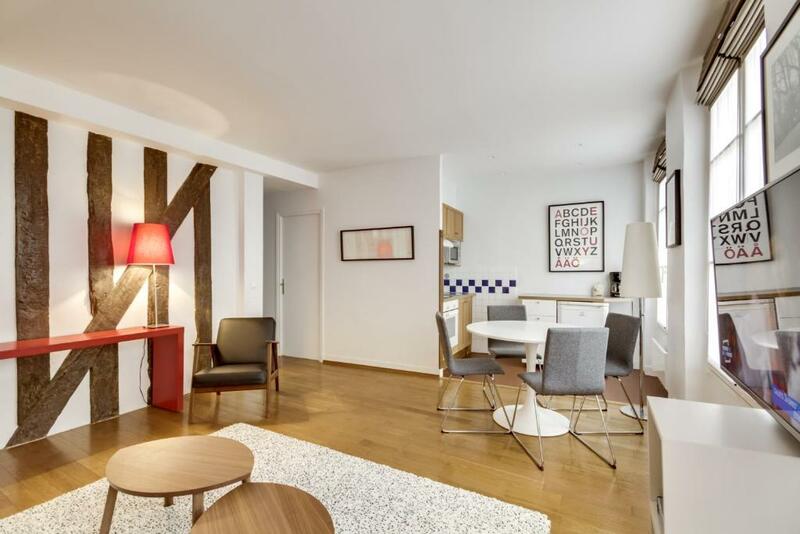 Les Appartements du Louver is a group of apartments located in various locations around the Louver, within a 15-minute walk from Georges Pompidou Center and Les Halles Shopping Center. Guests enjoy contemporary-style accommodations with free Wi-Fi access and a flat-screen and satellite TV. 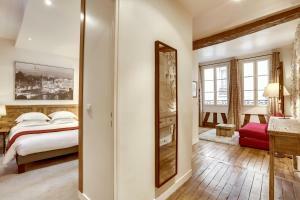 The heated studios and apartments at Les Appartements du Louver feature parquet flooring. The bathroom in each of them includes a hairdryer. The kitchenette on site provides a coffee machine, a toaster and an electric kettle. All type of restaurants and bars can be found within walking distance. 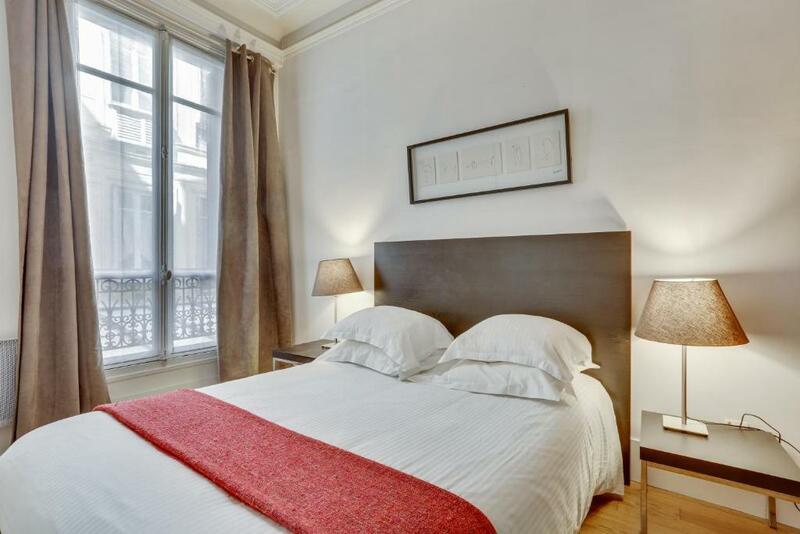 The accommodations are 600 feet from Sentier Metro Station which provides direct access to Opéra Garnier or Place de la République. When would you like to stay at Paris Appartements Services - Les Appartements du Louvre? This contemporary-style accommodations has free Wi-Fi access and a flat-screen , satellite TV. The bathroom in each of them includes a hairdryer. 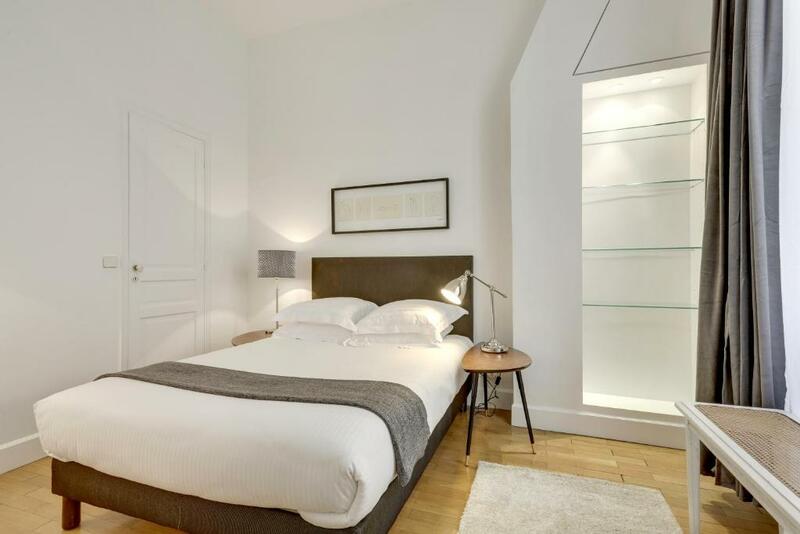 For more than twenty years, the agency Paris Appartements Services rents its furnished and equipped apartments to tourists and businessmen for their stays in the capital city, under the banner of seriousness and efficiency. 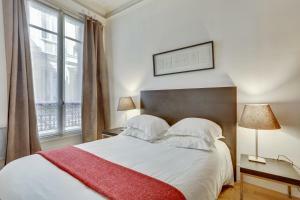 All our apartments are located in the best areas of Paris, in the middle of its historical center. The lively atmosphere specific to these districts is ideal for going on walks, shopping or discovering the many traditional restaurants. House Rules Paris Appartements Services - Les Appartements du Louvre takes special requests – add in the next step! 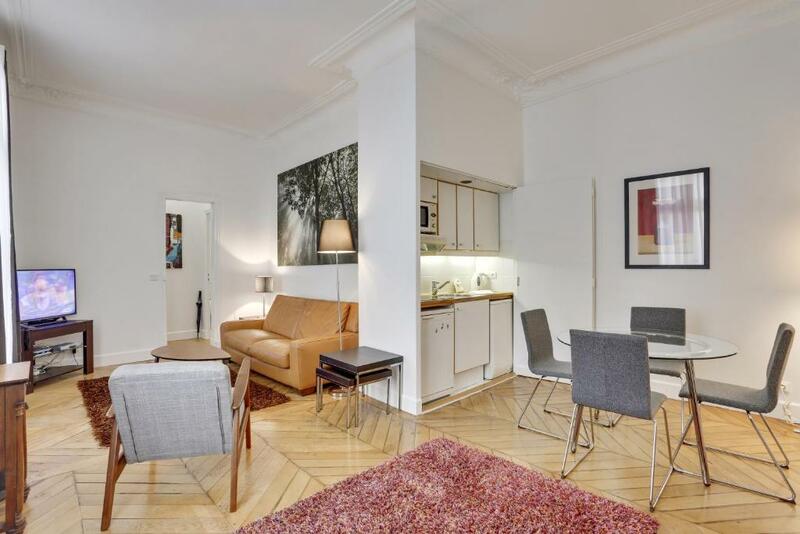 Paris Appartements Services - Les Appartements du Louvre accepts these cards and reserves the right to temporarily hold an amount prior to arrival. Please note that the credit card used for booking and valid identification will be requested upon arrival. Please note that check-in and key collection take place at: 53 rue Saint-Sauveur, Paris 75002. Please inform Paris Appartements Services - Les Appartements du Louvre of your expected arrival time in advance. You can use the Special Requests box when booking, or contact the property directly using the contact details in your confirmation. Asked to move from first apartment which was not at all suitable for us. Bed very comfortable perhaps just a little small for us. I loved everything I wanted an authentic Paris experience and that is what we got.